In the world of gadgets, one category that is fast gaining attention is weird gadgets. The fact that these gadgets draw attention in the form of awe, simply speechless, quizzical, shock or an outburst of “are you crazy!” are considered the measures by which the weirdness of these gadget can be gauged. While the fact remains that these gadgets are weird in many different senses, not all are just meant to shock your otherwise logically functioning brains. Some of these also combine utility, intelligent ideas, inventiveness and convenience into the weirdness quotient. It is common knowledge that most weird gadgets were designed to take care of the many tasks that we execute in our homes; more specifically, in our kitchens and dining areas. Because, like it or not, this is one place where we end up performing a multitude of mini tasks that are inevitable for our daily functioning and actually eat into our time with ease! Therefore, this is one place where inventors found a huge playground to work their brains overtime and come out with gadgets that claimed to be simple to use, convenient to function and, of course, time or effort saving. But gadgets that could be defined as weird did not limit themselves to the insides of our home, like the “Cinderellas” that performed silently and efficiently inside the four walls of the kitchens and cellars. Instead, they have ventured out into the open, and have made their grand presence felt in every “Prince’s ball” worth the name! And they have succeeded in gaining attention! Whether they succeeded in gaining the attention of investors and had a “happily ever after” is a different question altogether!! Now, here are some weird gadgets that triggered the alarm in my ‘weird’ meter. Since I am writing this article, I decided to start with something that is associated with what I am doing right now – using my keyboard! The Combimouse can be defined as one gadget that combines convenience, utility and a hint of weirdness in its appearance. While some might prefer to overlook the “weird” factor because of the comfort this gadget provides, it can still be classified in this category thanks to its distinctive designing and the time it would take to get used to using it! 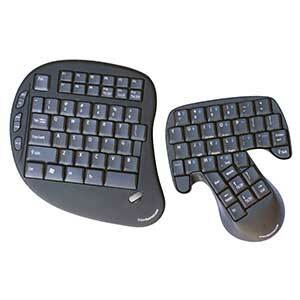 It offers the conventional keyboard, so you are sure to find all your keys. The weirdness comes in the way the mouse has been integrated as part of this keyboard. The reason – to save space on your desk, to prevent your mouse from falling off your desk and maybe also help those who are too lazy to move their hands around too far across their desk!! There were tricycles, then bicycles and then unicycles; so what makes this one different or weird for that matter?! Well, for one you don’t have to pedal and then you don’t get to sit either. 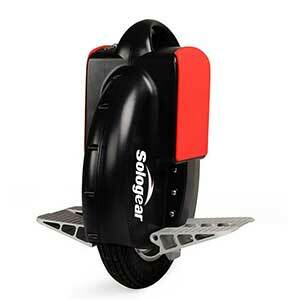 It is more like an automated skateboard which promises to take you places without any effort from your end. Powered by a battery based electric motor, this unicycle promises to ride you at speeds of 10 miles per hour. At least that’s what the inventors claim! All that you need to do is stand on its footboards, straddling the wheel and leaning forward. 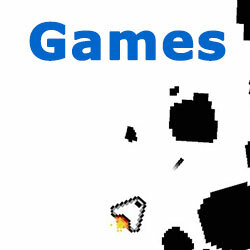 The gadget also offers to help you with that – it comes integrated with a gyroscope. So stand straight and get going!! As weird as its name sounds, this gadget might be something that many people may find weird but at the same time convenient. Why would anyone want to sleep upright?! Or rather, why would anyone want to lose out on their sleep just because they are not able to lie down or cozy up in a corner, right?! When travelling long hours or travelling late night, you could still catch up with all your beauty sleep if you have this weird gadget as part of your travel bag. The makers claim it is simple and convenient to use, light to carry around and, of course, weird for the on-lookers but comfortable for the user! And while we are at it, there is another strange looking gadget that not only easily fits into this category but can also make you look like a weird-looking alien! 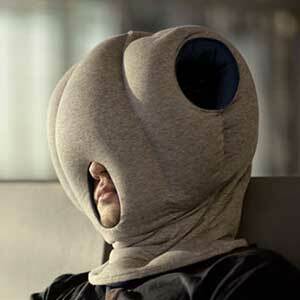 Designed to help you sleep anywhere and everywhere, this strange gadget looks like a hood and feels like a pillow and it promises you with a sound and undisturbed sleep; irrespective of where you are. You are sure to be the centre of a lot of attention, if you are in a public place; but who cares? You are fast asleep!! Although your first reaction would be something like “Really? !” or “Are you joking? !”; ask a guy who spends hours to ensure that his goatee remains perfect and you will understand the perils that he needs to avoid each time he touches the razor!! 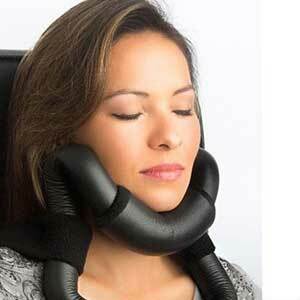 This gadget promises a solution for all these perils! Guys are not the really finicky type and ask any guy – getting a perfect goatee is more difficult than winning an argument with his wife or girlfriend!! With this gadget, it becomes easy as a breeze. As weird as it may sound or appear when being used, this gadget promises to be just one great life-saver!! 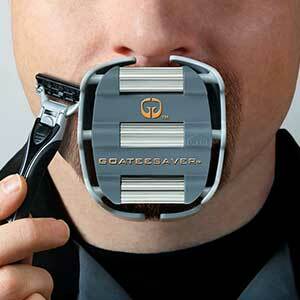 Or should we simply say, goatee saver?! I am not really sure what the Japanese have named this weird gadget, but I guess this is what it should have been called, if not something more dangerous sounding! An alarm clock, as we all know is one ironical invention of man – designed to help you be disciplined and not miss out on your appointments while at the same time incorporated with an option to postpone your very alarm and help you procrastinate for a few more minutes!! As perfect and disciplined as the Japanese are and strive to be, they have found a way around the dangerous snooze button in your alarm clock. If you do dare to use it, you either end up hurting yourself or have to be alert enough to not hurt yourself! 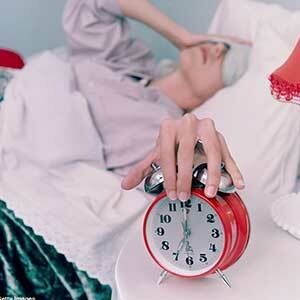 Either ways, it succeeds in driving your sleep away and pushing you out of bed!! The world is filled with a lot more weird inventions that were intended to be convenient, useful, time-saving, effort-saving or simply cost-saving. What makes them weird is the undue significance thrusted upon one or all of these aspects, to an extent that they forget the conventionally-accepted norms for gadgets and think of only how to do what they intend to do!! Nevertheless, some of these weird gadgets, although they might appear or feel funny; accomplish their objective in the most perfect way possible. While some others look more like an invention gone wrong!! But as long as there are inventors who think out of the box, weird gadgets will keep making their entry into the world market. And with the way of technology and the open market scenarios, things are bound to get “weirder”! !